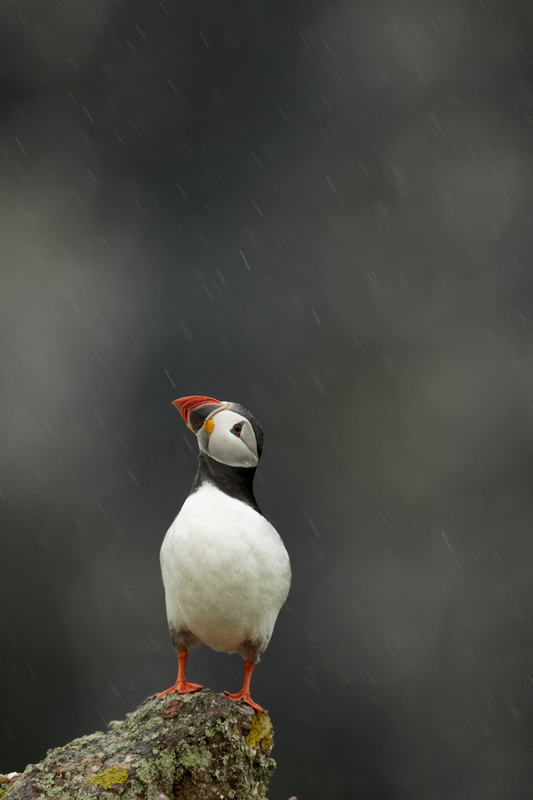 Photographer Mark Sissons shares his passion for Puffins. They are often called the clown prince of the cliff tops and with good reason given their comical appearance, but for many nature photographers here in Britain the summer just wouldn’t be the same without heading to the coast to spend some time with one of the most enigmatic and amazingly approachable birds, namely the Puffin. For me they are an addiction. 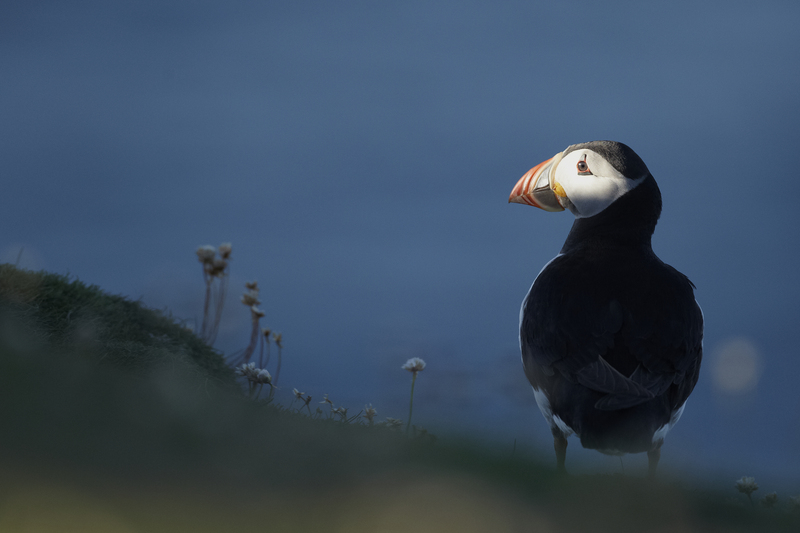 Not simply from a photographic point of view (although I have tens of thousands of Puffin images on my hard drives it has to be said) but also because of the sheer enjoyment that I have had over many summers spending time in their colonies. 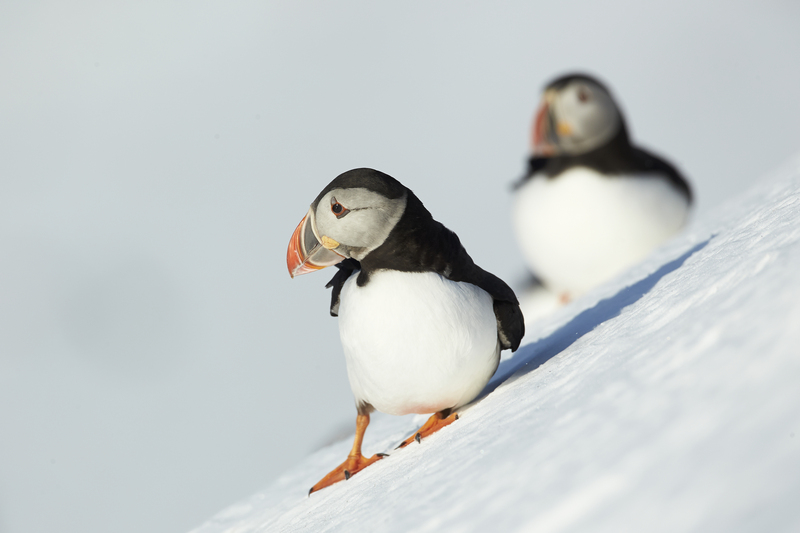 These colonies have been spread far and wide too – from the nearest major one to my land-locked home county of Shropshire at Skomer Island in Pembrokeshire, through the Farne Islands in Northumberland, multiple colonies in the Shetlands, their main breeding grounds in Iceland and also in the late grasp of winter in northern Norway where there was still snow when the early birds returned ashore. There is simply always something going on in a Puffin colony especially if you have an eye and a love for such things. Whether it be the head shaking, bill raising acts of courtship, the digging out of a new burrow, the bill tapping communication that can sometimes lead to aggression and some amazing beak-locked squabbles, the appearance of a new parent on the cliff top with a beak full of sand eels for the below ground Puffling to consume, the agony of watching the effort of said fishing expedition grabbed away by a marauding Gull, or the delight of a late summer evening when the youngsters make their first wing flapping ventures above ground before literally jumping off the cliff to the sea below probably not to return to shore for a year at the very least. 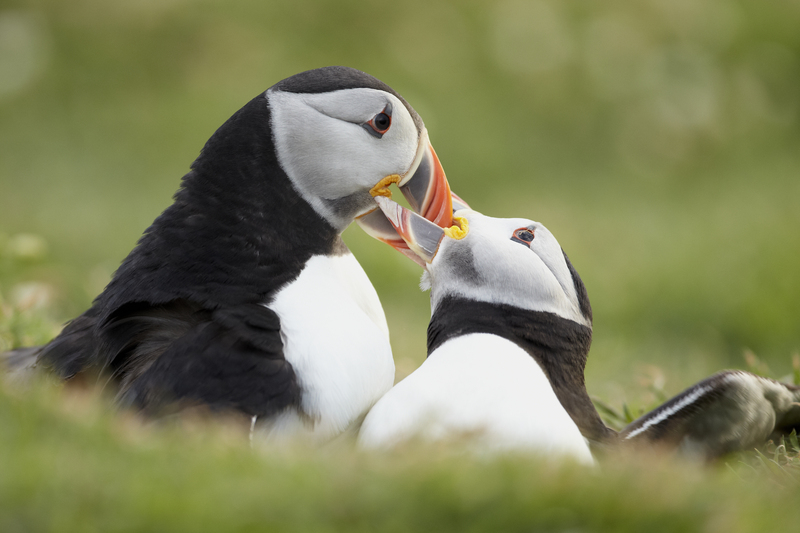 A Puffin colony is much like a classic soap opera really and the more time you spend there the more you understand in terms of just how these pocket rockets of the bird world live and interact. 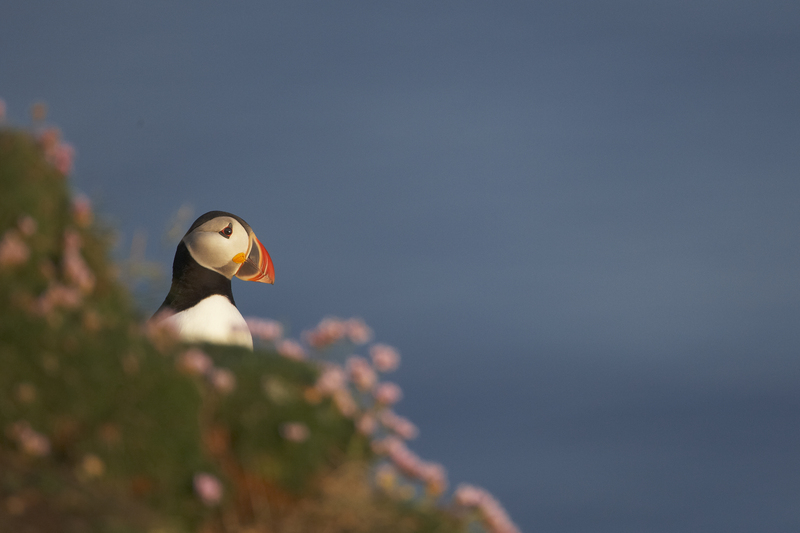 Photographing this iconic bird for ‘The Secret Lives of Puffins’ was therefore so much more than just another assignment or project and one thing is certain – I’ll be back on the cliff tops once more next summer! Copyright for all photos: Mark Sisson.